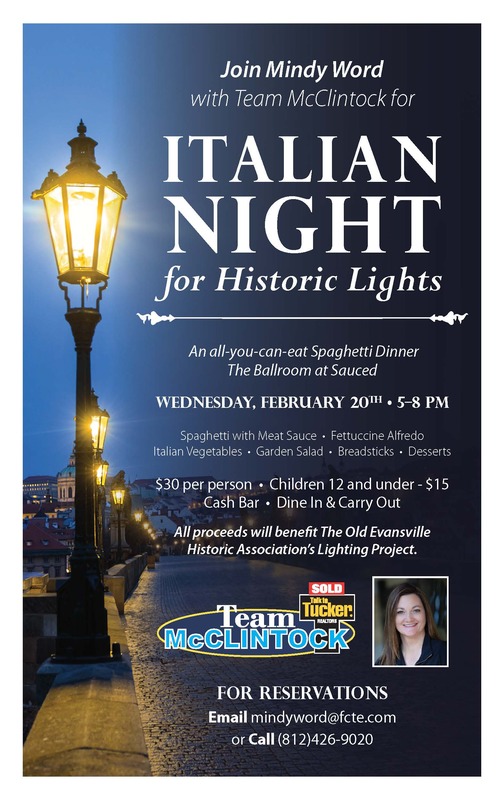 Join Mindy Word for an evening of delicous Italian food to support the Historic District Lights Project! Click here to view the Facebook event and RSVP. Invite your friends, family and neighbors for what is sure to be an enjoyable evening!